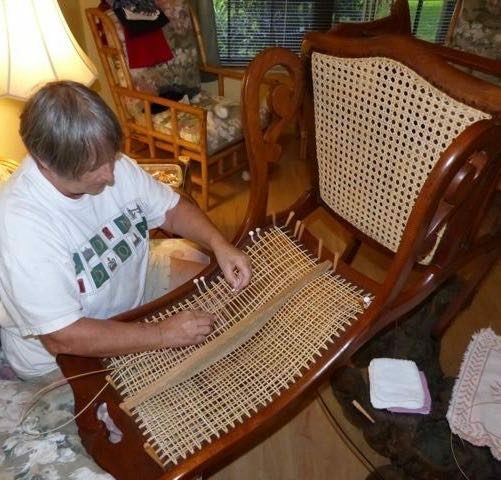 PSL Caner is a home based seat weaving business located 10 minutes from either I-95 (Port Saint Lucie exit 120) or Turnpike (Port Saint Lucie exit 142), serving the east coast of Florida. Owner Lori Burris, offers meticulous repairs on hand cane, blind cane, press cane, natural and fibre rush, reed, splint, Danish cord and Shaker tape. Wood repairs, finishing and conversion of hand cane to press are available.